In September 2009, the Plaintiff, then eleven years old, was playing tackle football in a youth league. When running with the ball along the sideline, the Plaintiff was tackled. The Plaintiff alleges that the tackle caused him to “fly through the air” for a distance of five to seven feet, impacting his left knee on a fence causing an injury. 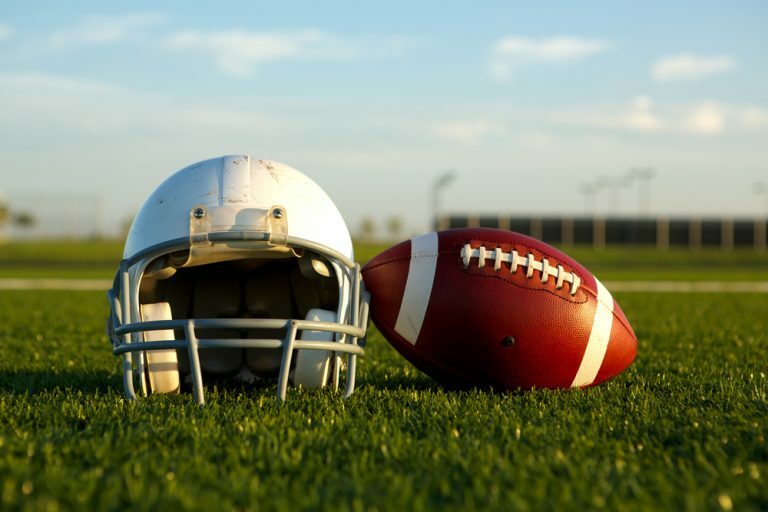 Most youth football leagues and school teams follow the rules of The National Federation of State High School Associations (NFSHSA). Their football field requirements call for a 2 meter (6 foot) restricted zone (clear area) around the field. The football field at this park has a five to seven-foot clear area on the football field sidelines. Players and coaches are allowed within the restricted area. The Plaintiff’s recreation expert prepared his evaluation report in May of 2015. Depositions of the Plaintiff, Plaintiff’s mother, coaches, and witnesses were taken from August to December 2017. The Plaintiff’s expert alleged in his report that the location of the fence was not in accordance with the reasonable and customary standards of the industry, that the location of the fence created a hazard for the players and failed to allow for a proper safe area for players and coaches. No supplemental Plaintiff’s expert report was received. A.S.T.M. F 2631-07 Standard Practice for Installation of Chain Link Fence for Outdoor Sports Fields, Sports Courts and Other Recreation Facilities has been suspended and replaced by a newer version or withdrawn. The fence had been in the same location to the football field for many years. No prior impact injuries on the fence had occurred, therefore there was no notice of a hazardous condition. The fence was five to seven feet from the field boundary line and was sufficient to comply with the restraining line requirement for the high school football field. The fence location allowed for the required restricted area around a football field. It was my opinion that the youth football team/league, reasonably installed, maintained, inspected, and supervised the youth league football field. The incident report and the two eye witness coaches testified that the Plaintiff was tackled, fell to the ground and maybe rolled into the fence. It is also my opinion that the Plaintiff’s mother, a trained physical therapist was knowledgeable about tackle football and the frequency of knee injuries therein. Alan Caskey, Ph.D., is a Parks and Recreation Consultant with DJS Associates, and can be reached via email at experts@forensicDJS.com or via phone at 215-659-2010.